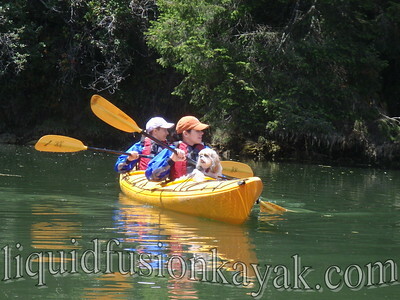 Liquid Fusion Kayaking: What's in the WATER? Spring has sprung on the Mendocino Coast. Last week, we enjoyed some very warm sunny days - shorts and tee-shirts for us in Fort Bragg!!! The wildlife activity has been phenomenal. Jeff and I have had a hard time getting things done at our shop on the Noyo River because of all the busyness of the wildlife. Of most interest - What's in the WATER? Deer -Did you know that deer are very proficient swimmers? We regularly see them swim across the Noyo River. On Saturday, this one swam across right in front of our deck. A pair swam across the river further up in front of a couple of our kayak renters. 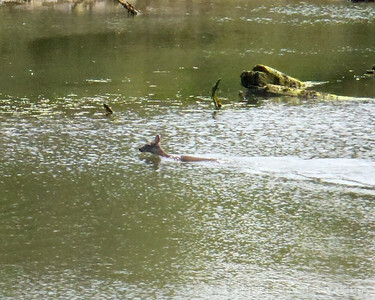 Deer use their swimming skills for numerous reasons. These deer were swimming to cross the river to graze on the other side. Another reason that deer swim in salt water is to help with controlling fleas, ticks, and lice. 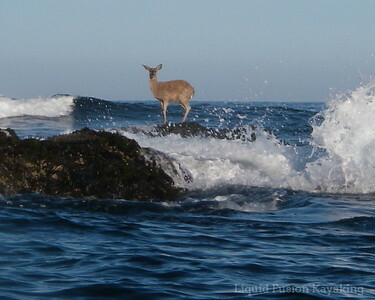 Deer are also know to swim out to rocky islands to escape predators. Whales - We saw several Pacific Gray Whales yesterday as we were paddling along the coastline of Mackerricher State Park. It is an amazing experience to see these giants surfacing and breaching in the swells as you paddle by. We didn't get any photos or videos but here is a link to a video from the weekend that our friend Michael took in Trinidad Bay (which is 3 hours north of us). 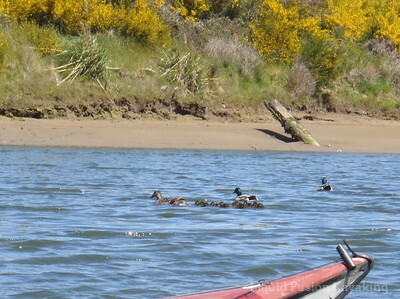 Ducklings and Goslings - We've been seeing lots of ducklings and goslings. Although, we aren't super excited that the Canada Geese nest here, their little ones sure are cute. My favorite ducklings are the common mergansers'. We haven't seen any yet but are optimistic that we will see them soon. These tiny little mallards are newly hatched. 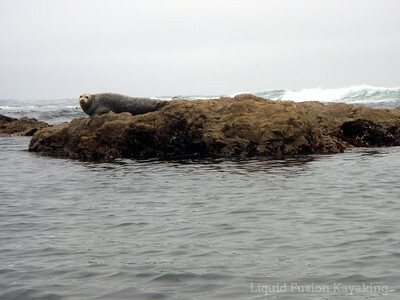 Harbor Seals - many of our harbor seals have had their pups. Usually these little ones are sleeping on our off-shore rocky reefs this time of the year. We caught a glimpse of a few yesterday but stay away to avoid scaring them and to allow them to rest and gain weight. Fish -We've been seeing lots of small fingerling size fish which means food for the local piscivores. 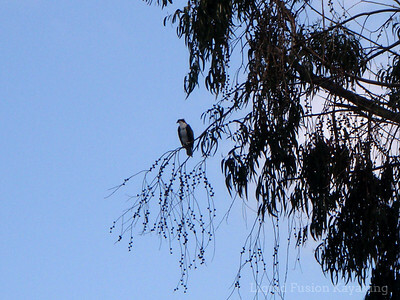 River otters, harbor seals, osprey, cormorants, kingfishers, and herons have all been actively fishing. Kayaks - Its a great time of the year to paddle and enjoy the warmth and energy of spring. When the winds make the ocean not so fun, the Noyo River is protected from the wind and is just delightful. Of course what's been in the AIR and TREES too has been fascinating with lots of springtime bird activity. Their colorful breeding plummage and singing makes our sunny days sparkle.